It was one of the best places we have slept in ever. The house is amazing, the rooms are big and there is a nice garden too. 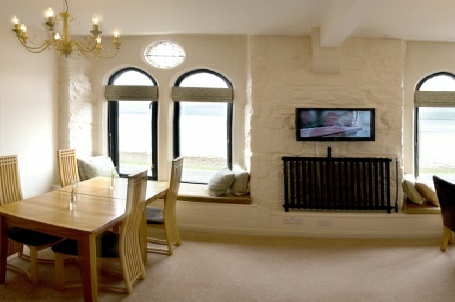 Bruce and Pam are extremely kind and do their best to let their guests feel pampered. Each room is equipped with all the facilities, what you need to have a cup of tea, coffee or chocolate, fresh milk, biscuits and chocolate candies. The service is flawless. The furniture is romantic and personalised. The breakfast is delicious and there is a wide choice of typical/continental food. We had a wonderful stay here and couldn’t have asked for anything more! The guest house is beautiful, our suite was perfect and all the little extra touches ( especially Pam’s yummy treats in the room every day) made it extra special! The breakfast room has breathtaking views over the loch and the food was second to none - thanks Bruce for our extra strong coffees after our nights at the local pub!! Overall I can’t recommend this place highly enough and can not wait for our next visit. Just perfect. Bruce and Pam were very welcoming and nothing was too much trouble for them. The accommodation is charming and very tastefully presented - it is a converted chapel which has retained some of the original features. Our family room was actually two adjoining rooms with a huge bathroom. There was a fridge on the landing with fresh milk for teas and coffees and Pam's daily fresh-baked cookies and shortbread were delicious. Seven years ago Newton Hall underwent major restoration and refurbishment, and provides luxury accommodation to complement its prime, stunning location on the edge of Loch Fyne. 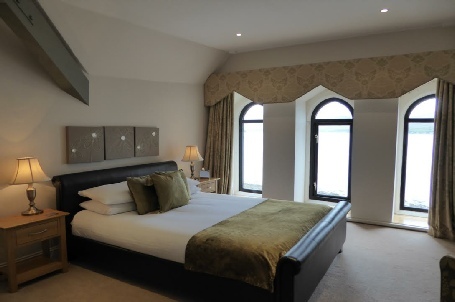 Our six bedrooms and en-suites are individually and beautifully furnished and decorated with particular care taken to reflect the original features of the Victorian church whilst reflecting the more contemporary feel to some of the converted rooms. 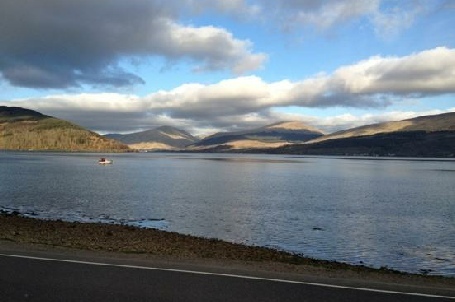 We are minutes walking distance from Inveraray town centre which is one of the prettiest and most interesting towns on the west coast of Scotland and makes a perfect base for exploring this magical part of the country. Bruce and Pam look forward to welcoming you to Newton Hall in the Royal Burgh of Inveraray on the shores of Loch Fyne. As guests at Newton Hall you are in the position to order tickets online for a visit to the jail at a 10% discount. 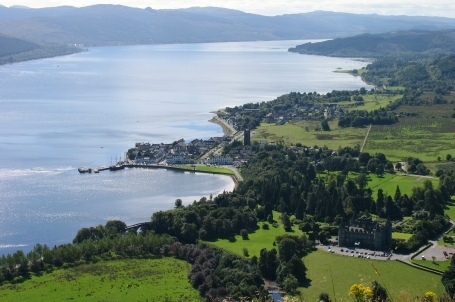 Just quote the reference 'newtonhall' when you visit www.inverarayjail.co.uk/buy-tickets.